Perhaps it's just the pre-launch chaos. Or maybe the gal that Anthony Trister hired for his Coffee Shop Millionaire doesn't really know what she's doing. One thing to take away is that when a person isn't serviced well, they'll complain to more people than they would tell about any good service. In this case (as I told them) I blog daily about their scene. And so far, I've loved their products. But they have a ways to go to reach exemplary (or even average) service levels. 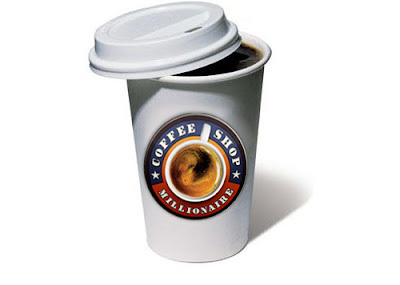 This blog (Coffee-Shop-Millionaire.Blogspot.com) is, of course, a study which act as a learning experience. We are studying Coffee Shop Millioinaire launch as it happens. And we are studying the materials of the site itself in order to dissemble what is happening as it does. Right now, we are just within a week from the actual launch. And some interesting things are shaking out with this. I had signed up earlier and got my access with just a little hitch - their link didn't work. An email to support got me the right link. When I saw that their videos were going to cost me substantially in bandwidth, I took the plunge of sigining up for their PRO version so I could simply get the MP3's. Unfortunately, that also didn't work. So another note to Support and unfortunately, she just gave me a link back to the sign-up form. I replied that I had already paid, and gave her my reciept. 4 days later, I still didn't have any resolution. (So much for "instant access".) As she hadn't replied, I looked up the support site again and sent her a request for refund. That was Sunday. On Monday, she tersely replied - "You'll have to go to Clickbank." And, true to form, the link she gave me was the wrong one. After I jumped through several of Clickbank's pages, I found their support. Then I had to dig up my invoice number (that's why they tell you to print it off...) and sent a note along to them. While it took me minutes to sign up, it took over an hour just to find and apply for a refund. The same day, I got a call from Infusionsoft, who was replying to a detailed e-mail reply I sent them as part of an ask-off their mailing list. A VP of Marketing wanted to touch base with me to get my data and see if I was a fit for them. He was very understanding and honest about how they had their emails set up and what they were doing to improve their offerings. So I am inclined to send anyone with a small business (which is making enough income for their all-in-one solution) to try them when their own autoresponder proves too limiting. So this isn't rocket science when you deal with someone. You treat them fairly. Use common sense. And streamline your online activities with an eye to best-possible user experience. But it is the difference between professionalism and profiteering, of actual in-for-the-long-haul businesses and seat-of-the-pants affiliate marketers. PS. I still consider the Coffee Shop Millionaire video collection to be a bargain. But go in there with your eyes wide open and keep your expectations real.